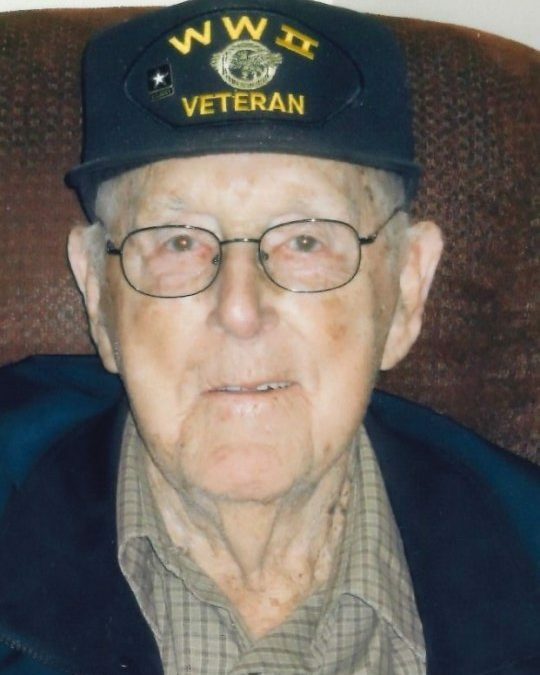 Herbert L. Dunagan, age 97 of Somerset, passed from this life on Friday, March 23, 2018 at the Hospice of Lake Cumberland, Jean Waddle Care Center of Somerset. He was born August 11, 1920 in Bronston, Kentucky, son of the late Edward T. Dunagan and Mary Lou Foster Dunagan. Herbert was a Retired Carpenter and Farmer and worked several years as an independent contractor. He served his country in the United States Army as a Tech 4 Sergeant in the South Pacific during World War II. He was married to the late Grace E. Taylor Dunagan who preceded him in death on March 5, 2001. They enjoyed over 60 years of life together. Herbert was of the Baptist Faith and a member of the West Somerset Baptist Church. In his leisure time he enjoyed fishing, hunting, camping and traveling as well as spending time with his family. He was a kind-hearted and generous man and especially in his earlier years was noted for his mischievous ways of making others laugh. He will be missed by those who knew and loved him. Besides his parents and wife, Herbert is preceded in death by two sons; Herbert Dungan, Jr. and Charles Dunagan and a sister; Margaret Marie Kelly Dunagan. He leaves behind to cherish his memory a Son; Michael (Linda) Dunagan of Somerset, Four Grandchildren; Ronald (Dana) Dunagan, Greta (Rick) Woodall, Donald (Sandra) Dunagan and Steven (Haiti) Dunagan all of Somerset, Great-grandchildren; Justin, Jason, Jennifer and Josh Dunagan and Brian Woodall, Five Great-great grandchildren; Mya, Adylee, Luke and Kendall Dunagan as well as a host of other relatives and friends. Visitation will be from 10:00 a.m. until 1:00 p.m. on Tuesday, March 27, 2018 in the Chapel of Southern Oaks Funeral Home. The Funeral Services will be at 1:00 p.m. in the Funeral Home Chapel with Bro. Larry Butte officiating. Interment will be in the Lakeside Memorial Gardens in Somerset. Full Military Honors will be conducted by the American Legion Post # 38 of Somerset.